VANCOUVER, CANADA, April 25, 2017	(Newswire.com) - Today, Beachcomber Hot Tubs®, an industry-leading manufacturer of hot tubs worldwide, officially unveiled their newest Anniversary Edition Collection to commemorate 39 years of business success. 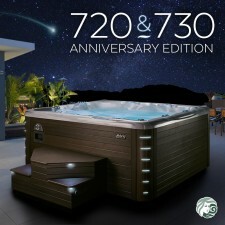 The 720 & 730 Anniversary Edition Series hot tubs are expertly engineered to balance the elements of light, sound, and ergonomic comfort, delivering a holistic therapeutic experience and elevating the company’s standards of innovation. As a limited-time offering within the brand’s flagship 700 Series, each model can seat up to seven adults, with a generous footwell for maximum comfort. The collection offers a wide range of hydrotherapy options, with up to 161 configurations thanks to Beachcomber’s patented Flexjet technology. Other new cutting-edge features include exterior cabinet illumination with Star Trail LED corner lighting inspired by the natural beauty and motion of the night sky, series exclusive Terrazzo and Titanium acrylic finishes, roman arch LED waterfall, and interior crescent moon ambient lighting and Everlite mood lighting to make nighttime experiences completely customizable and safely accessible. 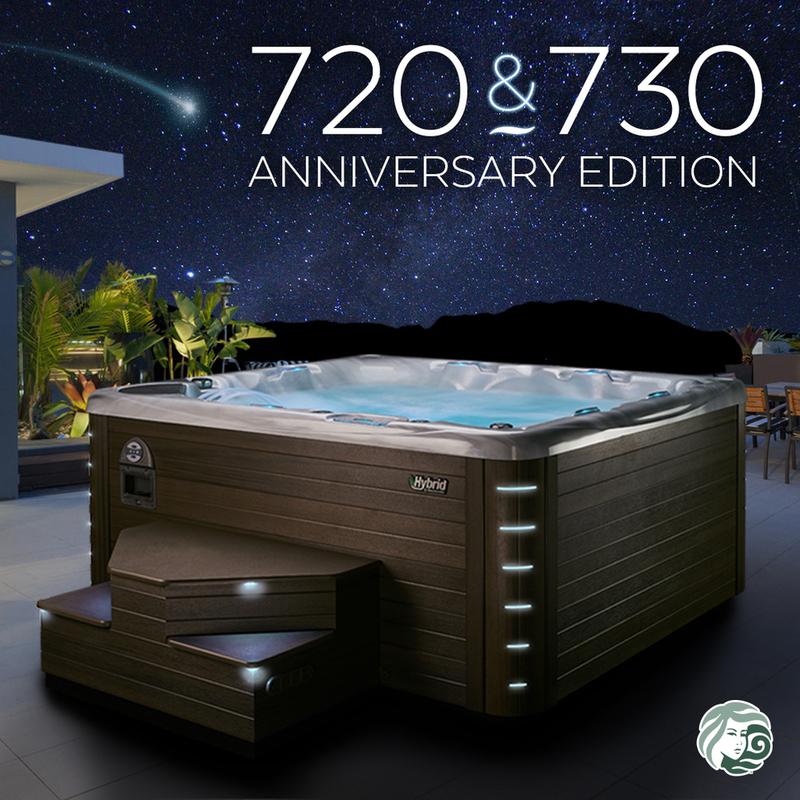 The launch of the 39th Anniversary Edition Series is perfectly timed for spring hot tub installation and will be available online and through authorized Beachcomber dealers worldwide up until summer 2017. Beachcomber Hot Tubs® is a family-owned, Canadian manufacturer of the absolute finest-quality, energy efficient, and longest-lasting hot tubs in the world. Founded by Keith and Judy Scott in 1978, Beachcomber remains a family operation, with headquarters in Surrey, BC and distribution centres throughout North America, Europe, and the UK. Devoted to improving the hot tub ownership experience through leadership in hydrotherapeutic innovation, performance quality, and energy efficiency, Beachcomber Hot Tubs® manufactures their unique Hybrid and LEEP hot tub models along with proprietary accessories and water care products available through authorized distributors worldwide and online. For more information, please visit www.beachcomberhottubs.com. The commemorative line-up includes exclusive ruby-inspired 40th-anniversary acrylic and state-of-the-art enhanced features.